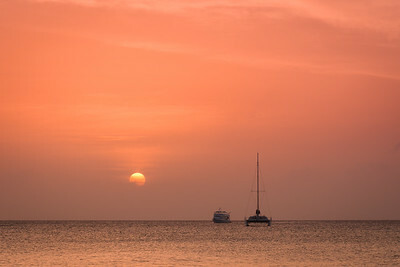 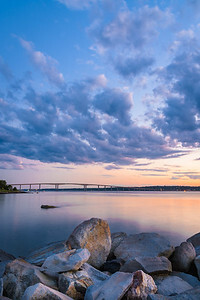 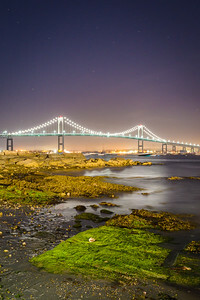 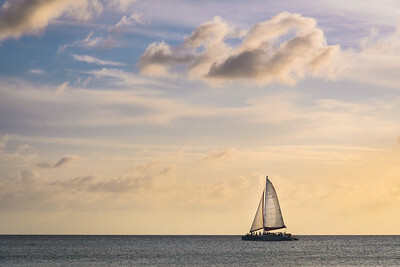 A collection of travel photography from Jim Schubert. 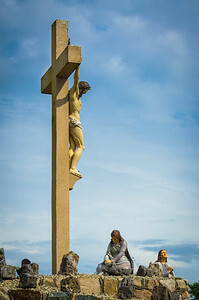 Outdoor statue of Jesus hanging on the cross. 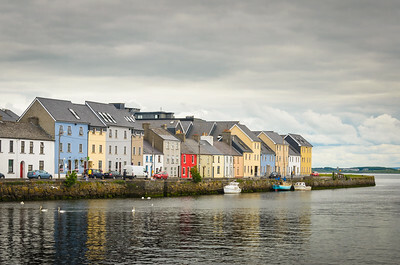 An overcast view of the colorful houses along the banks of the Corrib River in Claddagh on the edge of Galway city in Ireland. 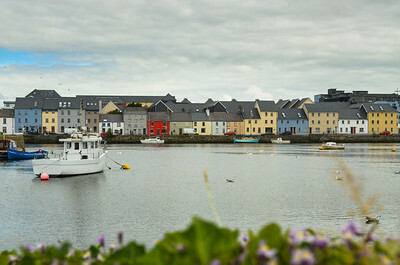 A crisp reflection of the colorful houses along the banks of the Corrib River in Claddagh on the edge of Galway city in Ireland. 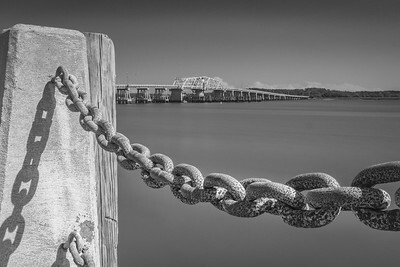 A rope of metal chains hangs from a post overlooking Harbor River and the Woods Memorial Bridge in Beaufort, South Carolina. 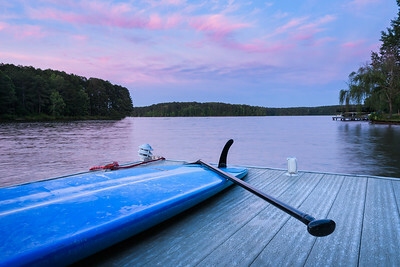 A blue paddle board lies on a dock on a lake under a pink sunset.